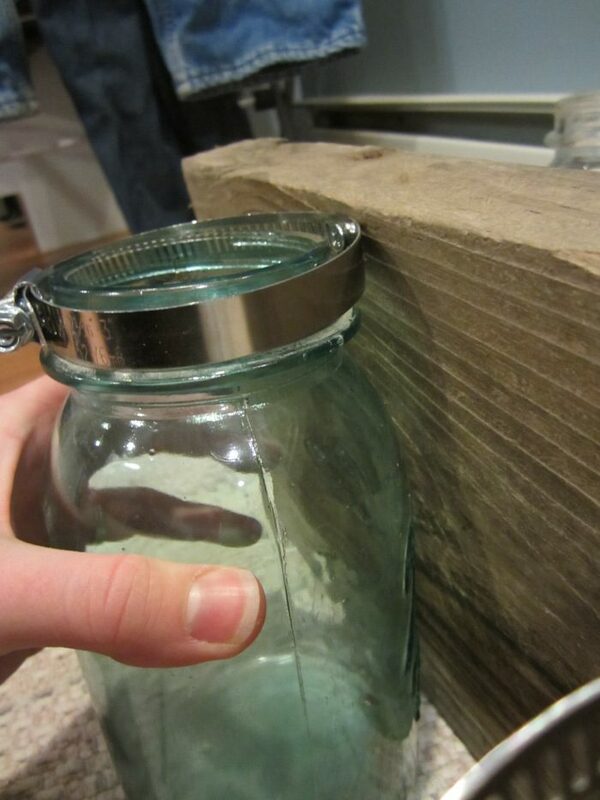 Place the jars in a position where you want them to be and mark the screw holes for the metal pipe clamps to be fixed. 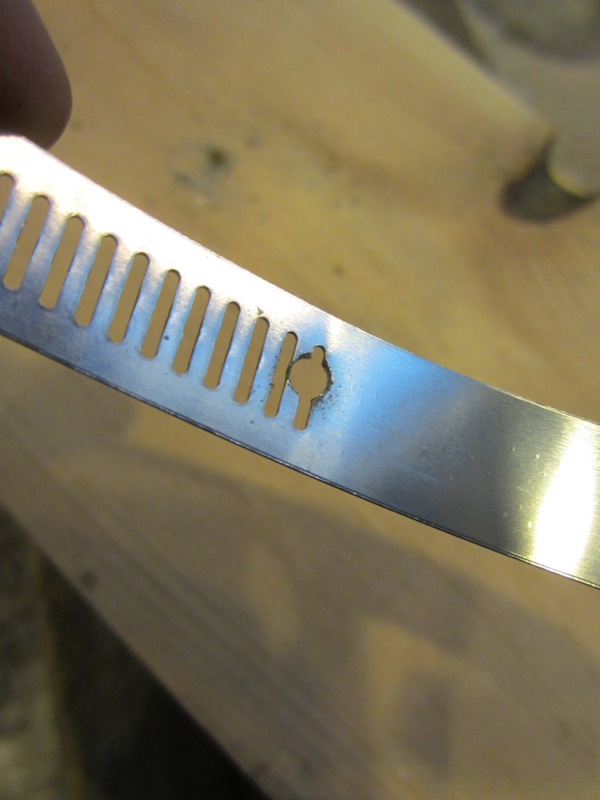 Lay out the metal pipe clamp flat and drill holes into them by using a screwdriver and hammer. 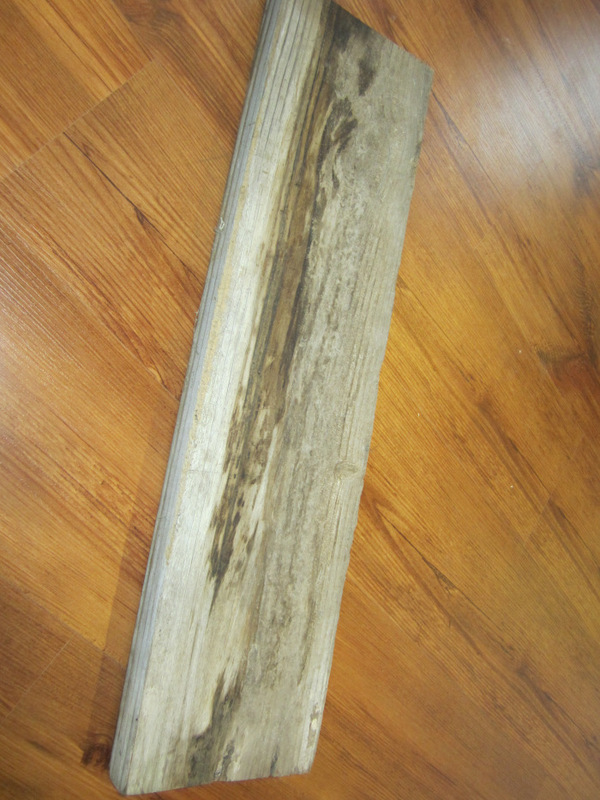 If you have a drill bit, your work would be easier. 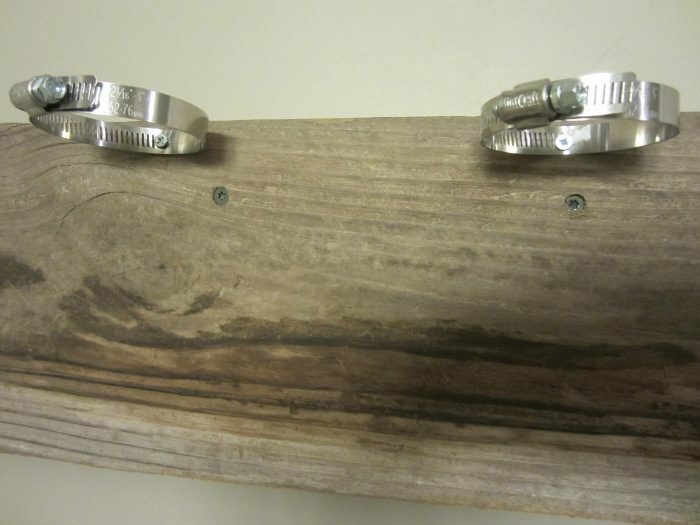 Now arrange the rings in a uniform and even way and fix it on the wood using a drill and screws. Screw the board onto the wall. Slip the jars inside the rings and tighten it well by twisting the screws. And here we are with the fruits of our labor……..our homemade mason jar sconce. I transformed them into flower vases; you can do anything with yours, like a candle stand, adding tea lights and so on. 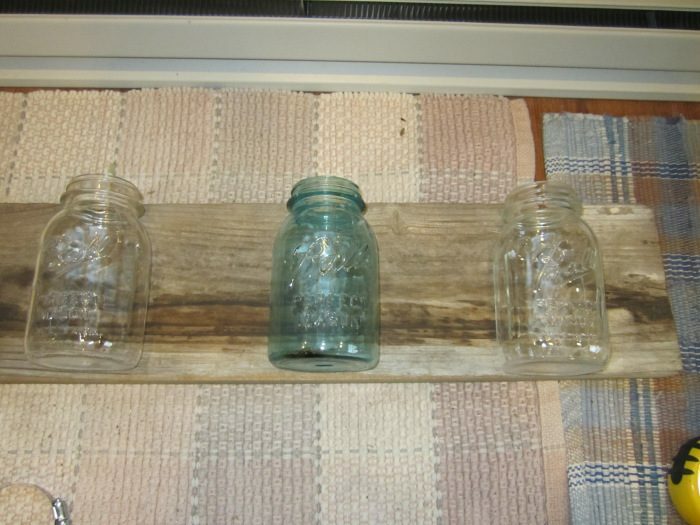 If you wish to convert your mason jar sconce into a light holder, then this is what you have to do to make one. 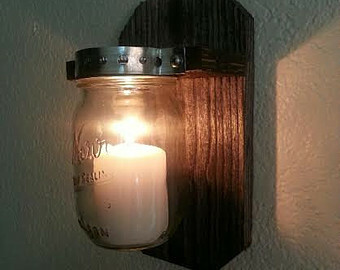 The one shown below creates a plugin effect, though you can create variations like fixing a hook on the wooden board and hanging a mason jar with the help of a chain, the light being fixed within. Sconces of an arch design, which I came across at one of the local stores during Thanksgiving is another option. 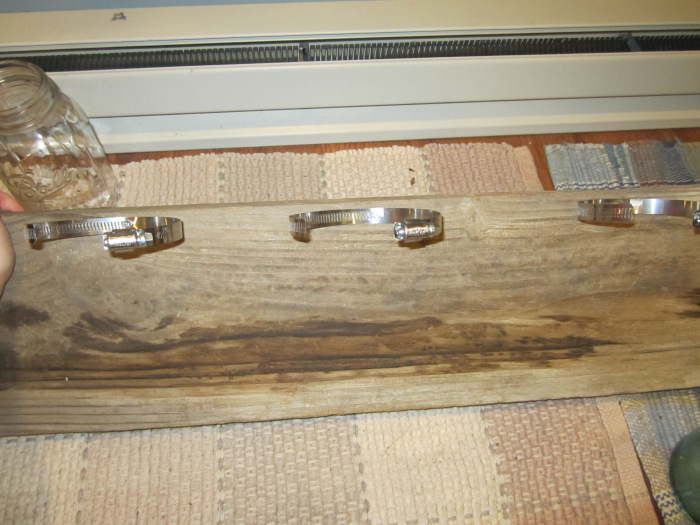 Another wall decor idea would be to design your wall sconce into a pretty candle holder. You can go by the easy instructions given here. 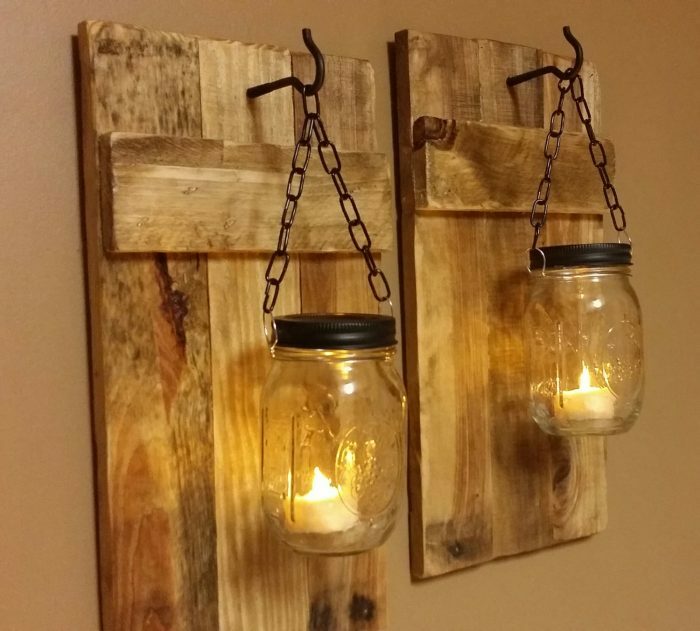 You can even hang the mason jars containing candles from a wooden board using chains, especially if you are desiring for an outdoor sconce, the clamping and fixing process would be the same as given in the above tutorials. 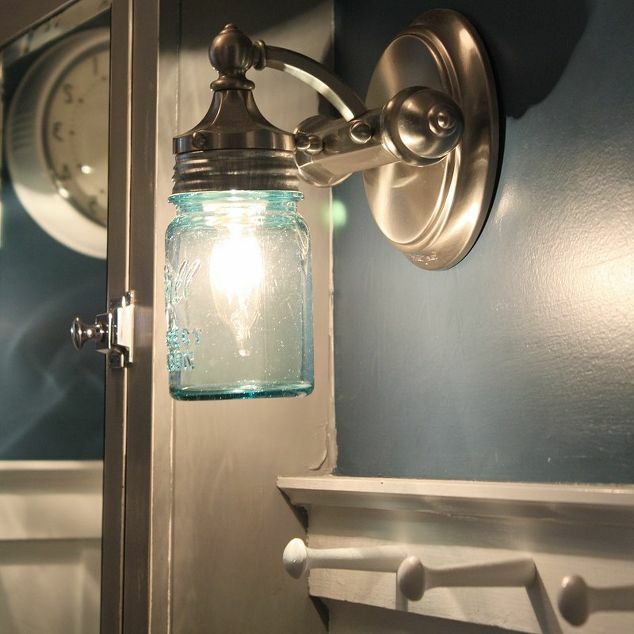 Your mason jar bathroom sconce would help your bathing area to look less messy. 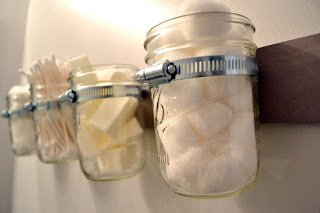 You can use a long board for accommodating a lot many jars if you have too much stuff in your bathroom. 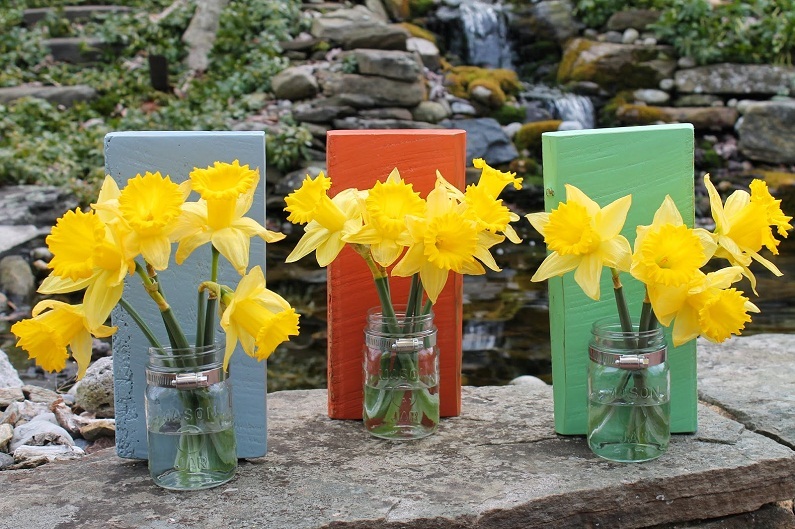 If you do not want to arrange your flowers in one long board as depicted in the DIY above, you may create small colored ones as shown in this tutorial. 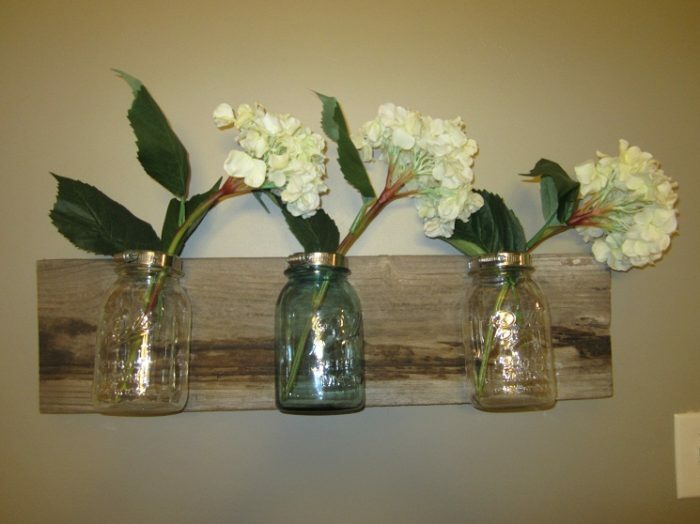 Do not miss the opportunity of making a host of these attractive sconces to give your home a unique and compact appearance.